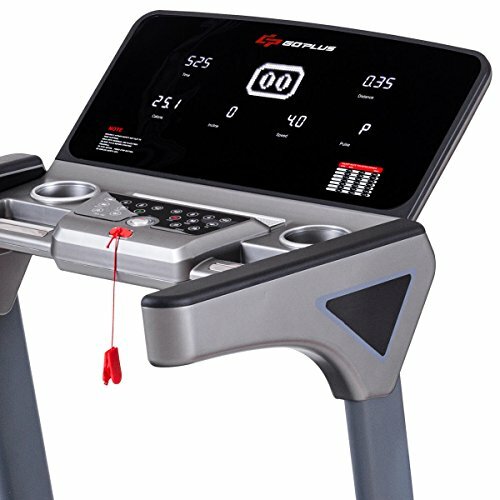 Everything you need to reach your fitness goals lives on the this Goplus High-configured Treadmill. Features cool and fashion shape, super sturdy structure, intelligent functions offer you an unparalleled running experience. Rate, Calories, Modes and a heart rate table. 1-16MPH easy set speed levels are available for different exercising requirements. Foldable design and transportation wheels for easy storage and move. ?Super-large Running Space & LED Touch Operate Display? 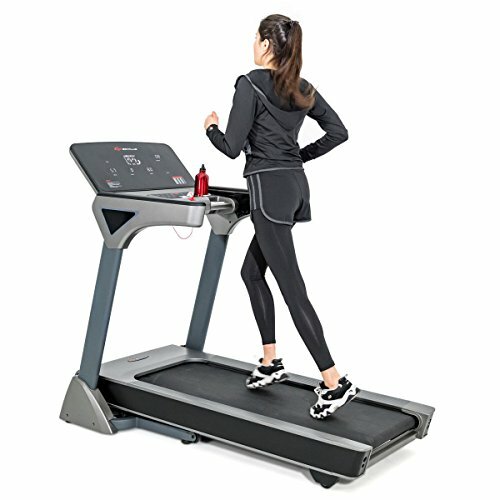 : Features with 64" X 26" large rubber running belt and 30" handrail spacing, this electric treadmill is suitable for any body type users. 28" X13" oversize LED display supports touch operation, shows Time, Distance, Speed, Incline Level, Heart Rate, Calories, Modes and a heart rate table. ?3 HP Impulse Max Motor & Built-in Rubber Vibration System? : The 3 HP large motor ensures the stable and efficient operation of the machine, and does not cause much noise. 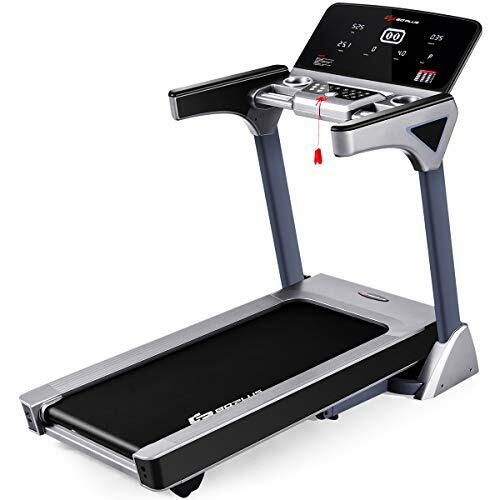 Built-in rubber vibration system also ensures the quite of the treadmill, will not disturb downstairs or neighbors, perfect for home use. ?15 Built-in Workout Programs & 16 Adjustable Speed Levels? : There are 15 different built-in workout programs for choose, different program has different preset speed, incline level, and time. 1-16MPH easy set speed levels are available for different exercising requirements. ?15% Quick Electric Incline Levels & Safety Key Design? 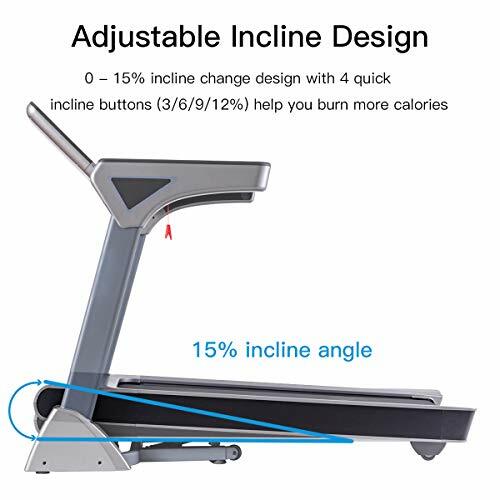 : This treadmill supports 1-15% electric incline levels adjustment. The large the incline level, the greater the exercise intensity. 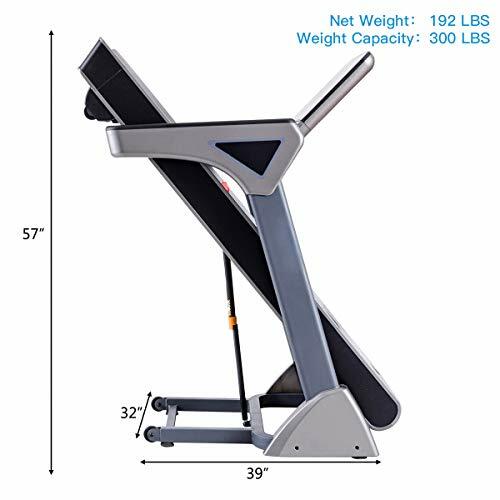 The safety key links user and the treadmill, which can quick stop the machine in an emergency. ?Foldable Design & Transportation Wheels? 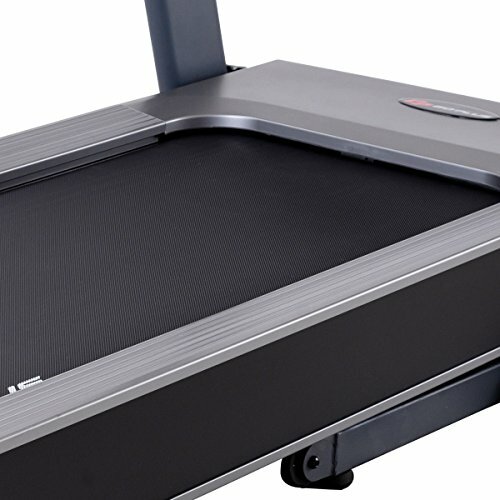 : The treadmill can be easy fold and unfold with a gas rod supporting. The wheels allow the machine transport from one room to another room easily.